21 months, 4-stripe white belt. 21 months ago…summer of 2013. The hardest bit was forcing myself to head for the academy after work during that first winter. I trained in a few martial arts back in my teens and early 20s, all at a very low level but I didn’t continue. Thirty years later, I was overweight and unfit but when lost a lot of weight and got fit, I decided I wanted to do martial arts again. Wasn’t enamoured of the idea of being repeatedly kicked in the head at the age of 52 (as I was at the time), so thought about grappling rather than striking based arts. I was vaguely aware of BJJ (I was always interested in traditional jiu jitsu and had trained in judo and aikido) and decided to give it a go. Went to a try-out class, survived it and kept going back! BJJ is intensely physically challenging but also requires use of the brain. It’s complicated and requires thought and strategy. There will never be nothing left to learn. It’s satisfying – progress is tangible. Because we train with fully resisting opponents, what we do either works or it doesn’t. We know for sure when we’re making progress. As an old git of 54, it makes me feel great to be able to give a decent fight to the younger guys and to be able to keep up fitness-wise. It won’t last forever, of course, but for now it’s very motivating just to see how far I can take it. I also really like the social aspect of BJJ. 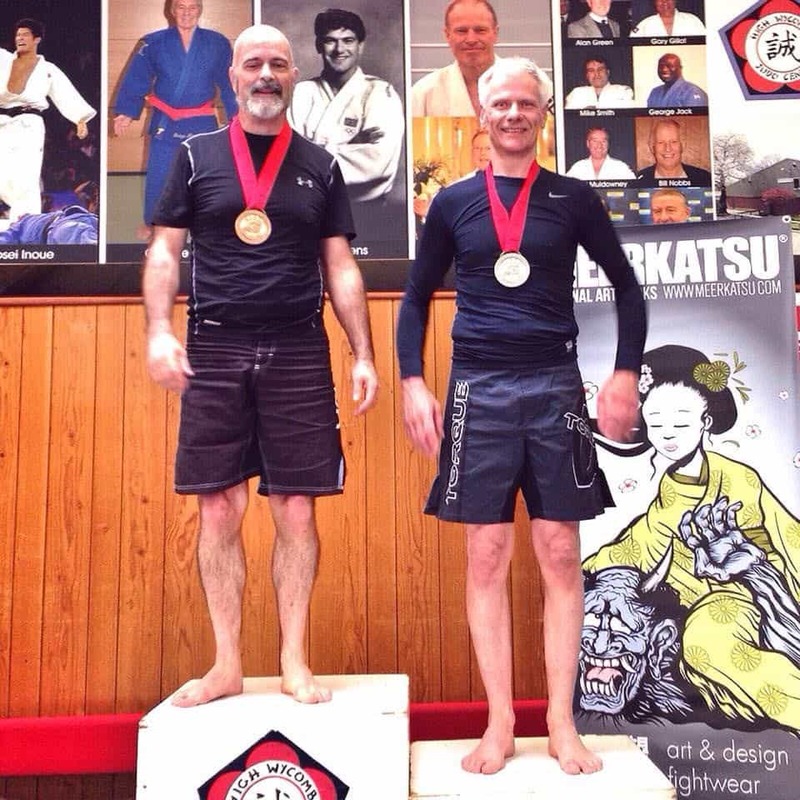 Jiu jitsu people are great – I like all the people I train with at Carlson Gracie Surrey and I now know jiujiteiros from all over the world through the BJJ Globetrotters camps I’ve attended. Just to get better at BJJ. A blue belt wouldn’t go amiss either. It’s not that there’s anything glorious about having a blue belt as such but it’s a marker that all that hard work has achieved something. I’ve recently started competing so I want to do more of that. I’ve been genuinely surprised at how much I like it. I’ve also been on some BJJ Globetrotters training camps, which I love, so I want to do some more of those. Expect to hurt a lot for the first couple of months. Stick with it because it’ll be worth every bruise and every sore muscle. Also, buy some knee pads. Learn to tap early. Learn to break fall. There is no such thing as light rolling. Keep your elbows in.